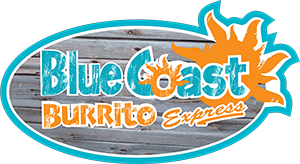 True to the Blue Coast Burrito core, this Express location boasts the same high energy, vibrant and colorful atmosphere. Designed to place you in the very surroundings of a Southern California beach, offering the signature fresh, authentic food and flavors that have become well known to so many citizens of Middle Tennessee. Fresh, fun and fast. Blue Coast Burrito Express is located on the 2nd floor of the Bennett Campus Center.